Software bugs are never fun, but Apple appears to be going on the offensive to stomp out problems before they become public, by letting end users get in on the fun prior to release. 9to5Mac today reported that Apple may be planning to expand its existing AppleSeed program, which allows non-developers to tinker with early software builds and contribute to the process of catching bugs. Last fall, Apple released a public beta of OS X Yosemite 10.10 to one million registered participants who signed up for the program, a move that apparently successful enough to make Cupertino consider doing the same for the company's mobile products. The report claims some version of iOS 8.3 currently being put through its paces by developers could soon expand to a more exclusive club of up to 100,000 brave souls willing to give it a try, along with select Apple retail employees who started receiving beta builds back in January. 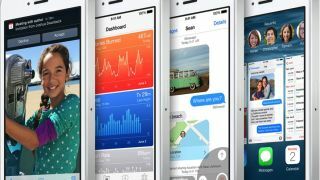 Apple's latest beta program expansion appears to be an effort to pave a smoother road to iOS 9, which the iPhone maker is expected to introduce in June at the annual Worldwide Developer Conference (WWDC), with a public beta expected later in the summer ahead of a presumed fall release. In the meantime, developers have been juggling builds of iOS 8.2 with Apple Watch support in tow since late last year which is not expected to become part of the public beta offering, instead kicking off with iOS 8.3 as early as March. Bearing the internal codename "Stowe," the initial iOS 8.3 beta introduced wireless CarPlay support, Siri voice enhancements, a more streamlined Google login process and upgrades to the Emoji keyboard; a second beta is expected sometime next week. Although not yet in the hands of developers, sources claim Apple engineers are also hard at work on iOS 8.4 (codename: "Copper"), which is expected to integrate Beats Music into what's being described as an "all-new streaming music service."